Predictive Analytics automatically alerts, analyzes and prioritizes threats. It initiates automated mitigative actions to terminate fast-moving cyber attacks. Interpretive analysis provides an integrated view of the past, present, and future in plain English. It delivers the visibility threat hunters need to make faster and more effective mitigation decisions. Predictive Analytics delivers the visibility needed to proactively identify, prioritize and mitigate today's advanced threats. Attacks start out as a suspicious behavior. Behaviors provide early warning if you know what to look for. Predictive Analytics continuously monitors for suspicious cyber attacks. Predictive Analytics does the heavy work. It automatically alerts, analyzes and prioritizes threats. It can initiate automated mitigation action to terminate most malware. Integrated analysis of NGAV, EDR and Insider Threats interprets what advanced threats are trying to do. It provides the forensic details required for hunting advanced threats. Predictive EPP sensors collect more threat data than any other solution. Predictive Analytic's powerful query capabilities extract data for in-depth forensic investigation and customized reporting. Predictive Analytics interprets suspicious behavioral on-disk to determine what happened, in the OS to determine what is happening, and in-memory to predict what will happen next. It calculates an Impact Score, which Security Teams use to prioritize mitigative actions and initiate automated responses. 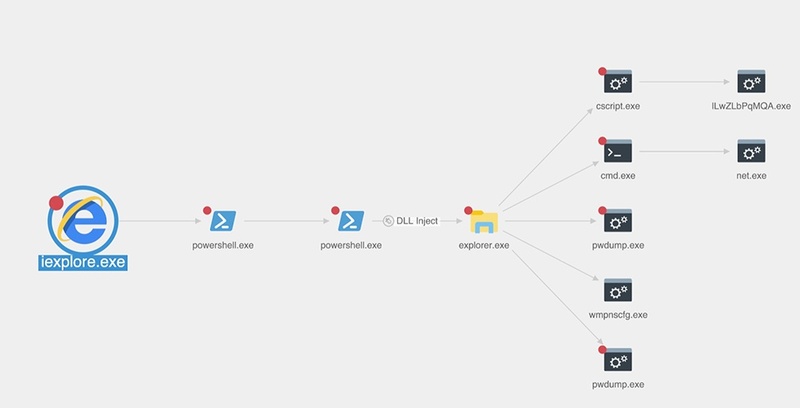 Automatically analyze and interpret threat intentions. Does it act like malware? Predictive Analytics provides a holistic view of all suspicious behaviors in a threat. It identifies Suspicious Execution, for example, a Powershell script. It exposes Lateral Movement, indicating multiple endpoints are involved. It diagnoses Privilege Escalation, indicating user accounts have been compromised, and much more. Investigate forensic details to isolate root causes and mitigate threats faster and more efficiently. Predictive Analytics display all behavioral elements in relation to one another. Security Analysts can pinpoint the root cause of a threat to mitigate faster and more efficiently. They can investigate the details of TCP connections, Powershell scripts, password files accessed and much more. Convict unknown threats that other endpoint solutions fail to detect. Advanced threats disguise their intentions with seemingly harmless behaviors. CounterTack's predictive engine analyzes a behavior's capabilities and predicts what it will do next. It convicts with near zero false positives enabling proactive mitigation. "I’ve been in environments where you only have basic antivirus. And one of the issues with that is you don’t have all the pieces of the puzzle. Antivirus is like the check-engine light on your car. When the light goes on, you have no idea why and you have no information for diagnosing the problem." Read our latest security blogs, white papers and news. Watch our advanced threat and whiteboard videos. Evaluate Predictive EPP and Advanced Mitigation Services for 30 days.